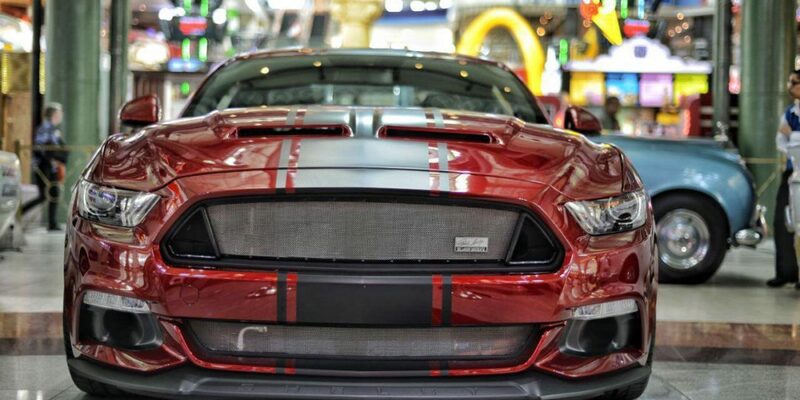 Get snake bit all over again with the 50th Anniversary Shelby Super Snake! Packing up to 750+ horses and shod with stick-to-it performance tyres. The new Super Snake is an exercise in subtle details and features many first-to-market products. Shelby American sharpened the handling of the independent suspension and then upgraded the brakes with massive calipers and rotors. Under the functional hood, the Super Snake combines Ford’s iconic 5.0 V8 engine with forced induction for 670 horsepower; optional superchargers can pump out over 750 horsepower. “Shelby’s 50th Anniversary SuperSnake is the best of both worlds, American Muscle in terms of power and looks, coupled with Supercar performance and a huge degree of exclusivity. Only 500 worldwide, of which less than 200 are right hand Drive variants.